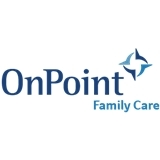 OnPoint Family Care: Denver Tech Center (Greenwood Village) - Book Appointment Online! Our practice is dedicated to providing the highest quality of care to each patient. Focused on compassion, commitment and collaboration. Currently accepting new patients for same day and next day appointments! Located in the Denver Tech Center, OnPoint Family Practice: DTC serves patients in Greenwood Village, Denver, and Englewood. We are a large Family Medicine Practice focused on patients’ health and wellbeing, long-term symptom relief, and maximizing your quality of life and longevity. Beyond traditional disease management, we highlight education, personal responsibility, and collaboration, with shared-decision making between patients and providers. Our practice offers comprehensive laboratory testing to detect early disease states and potential health issues to ensure you can optimize your overall future health. Theresa Holsan was very easy to talk to and made me feel comfortable the moment I walked in. Highly recommend her! I was 15 minutes early, booked online (not sure if the place was real as I'm a new patient :) ). I quickly filled out a handheld questionnaire, paid and was visited 10 minutes before my appt! I'm not the "hurry" type but it was nice to be visited by the nurse and not wait forever for the doctor! Great experience! Dr. Vu was great- efficient but really took her time and listened to me.